The University of Guelph: Changing Lives. Improving Life. The University of Guelph‘s Better Planet Project launched several years ago with the goal of raising 200 million dollars; money that would be used to change lives and improve life locally, provincially, nationally, and around the world. To date the project has raised over $170 million and has helped support countless projects at the University of Guelph. Supported projects have crossed disciplines and have been as diverse as the students, staff, and faculty who call the university home. From saving the Elm Tree, to developing the Barcode of Life DNA project, to preparing a million meals for impoverished nations, the Better Planet Project has already had an immediate and lasting impact around the globe. Community, Environment, Food, Health, Teaching & Learning – the pillars of The Better Planet Project – go to show that the work that happens at the University of Guelph is more than academic, it is work that drives real-life solutions to the many challenges we face right now. It’s with this in mind that the Farm To Fork team is proud to acknowledge the support of The Better Planet Project, and the College of Physical and Engineering Sciences (CPES) at the University of Guelph. Of course, their support wouldn’t be possible without donations from alumni and friends who recognize our combined ability to change lives and improve life. The funding we’ve received through The Better Planet Project and the CPES will be used over the winter semester to support student development of the next stages of the Farm To Fork project – making it easier for donors to provide the foods that are needed, and ensuring that everyone has access to nutritious food. Thank you University of Guelph, thank you CPES, thank you Better Planet Project, and thank you to the generous alumni and friends who have donated to and believe in the Farm To Fork project. Together we will eliminate food insecurity – in our community and beyond. If you’d like to know more about the Better Planet Project click here. If you’d like to contribute to the Farm To Fork project, you can do so through the Better Planet Project (and all donations are tax deductible). Just let us know and we’ll connect you to the awesome people who know more about this sort of thing than we do. As the snow has begun to fall in Guelph, it’s clear that the Holiday Season is fast approaching. For most of us this means spending time with our families, reconnecting with friends, and enjoying the many treats that are customary at this time of year. Sadly not everyone in our community is as fortunate. There are many families who go without; families who are struggling to make ends meet; families worrying where their next meal will come from; families who need our help. The good news is that Guelph has been and continues to be a city that responds to the needs of its community. Many schools and businesses will begin their holiday food drives; collecting goods to ensure that every person in our community has the food they need, and demonstrating that when we work together, great things can be achieved. It’s in this spirit that the Farm To Fork team would like to partner with you. How can Farm To Fork help? Let us know if you are running a food drive in your school, community group, place of worship, or business. 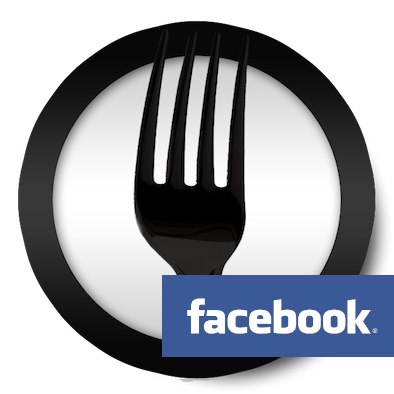 Sign up the members of your group at Farm-To-Fork.ca. By doing so we’ll be able to connect everyone to the needs of the local emergency food provider that you have opted to link with. Have your group members pledge items that are needed. Collect the items that have been pledged. Of course, we also want to celebrate the amazing things that people in Guelph do all the time. Send us a team photo with the Farm To Fork logo, including a short blurb explaining why food security is important, and we’ll post it here. Share your holiday spirit. Share your sense of community. Inspire yourselves. Inspire others. Working together we can ensure that every person has access to the food they need this holiday season. This weekend (September 22nd), some of the Farm To Fork team will be attending the annual taste∙real Field Dinner. We’re honoured the organizers have chosen Farm To Fork as a recipient of a portion of the proceeds from this year’s event. The Field Dinner is taste∙real’s annual celebration of fresh, local food. So, we’d be lying if we said we weren’t looking forward to sampling some of the delicious wares while we’re there. Better still, the Field Dinner is happening on the same day as Guelph Wellbeing Day. An event featuring the best fresh, local food supporting an initiative designed to get more fresh local food to those who need it most? That has wellness written all over it to us. At time of writing, there are still tickets available. If you’re able to support this terrific event, do it. We hope to see you there. In a few short weeks the Farm To Fork team will officially launch the Farm To Fork website. Of course, between now and then we have much to keep us busy. Beyond putting the final touches on the website, there are a lot of other behind the scenes things we need to do. Regardless, we are happy to announce that the launch event (scheduled for Thursday October 3rd) will include several short talks about food insecurity, a selection of local food, a presentation by Taste Real, and a preview of phase II of the Farm To Fork project. We’re extremely excited, and hope you’ll be able to join us. Tickets for the event will be made available in the next few days. Stay tuned for an official announcement by the end of the week. For those of you who have asked, if you weren’t able to donate to the Farm To Fork project during the Microryza fundraising campaign or wish to do so now, you can donate directly through the University of Guelph‘s Alumni website. Just follow the link below, and be sure to fill out the necessary information identifying Farm To Fork as the recipient of your donation. Instructions are provided below. Twenty-five more days and counting! Read all of the instructions below before clicking here. In the first drop down box (see box 1 in the image below) labeled Available Programs, scroll to the bottom of the options and select Write-In Option. Click I prefer to support an area that is not listed above. In the box labeled Area of Interest write Farm To Fork. In the box labeled Amount enter your donation amount. In the box labeled Contact Information write Sonia Mancini and Daniel Gillis. Under Gift Type click One-time gift (unless you wish to make multiple donations). Once all of the items in Box 1 (above) are filled in, click the Calculate button. Fill in all of the relevant contact information requested in Box 3. Click the Next button to complete your donation.